Unai Emery has explained it was a tactical, technical decision not to include Jack Wilshere in his first team plans after the Arsenal boss opened up about his conversation with the midfielder that led to him leaving the club. Emery took over from Arsene Wenger at the end of last season and one of his key decisions was to figure out which of the current squad were going to play an important role in his new vision going forward. 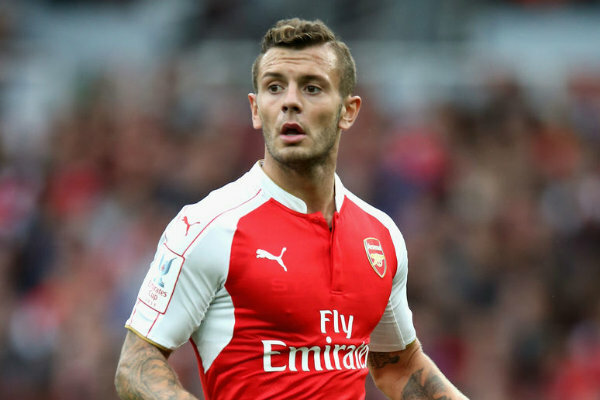 Wilshere’s future was in serious doubt as he had come to the end of his contract but a new deal was on the table and there was a growing feeling Jack would commit his future to Arsenal. However, the midfielder decided to wait until he’d spoken to Emery before putting pen to paper and it was following a conversation with the new manager that Wilshere decided his future was away from north London. Jack confirmed earlier this month after joining West Ham on a free transfer that he was ready to sign a new deal with Arsenal before Emery made it clear he wouldn’t be part of his first team plans. The new boss has now spoken out on his decision and explained that it was a tactical, technical one as he felt Wilshere simply didn’t fit in to the style of play he wants to adopt at Arsenal and there would be no room for Jack in his starting eleven. Emery says both he and Wilshere were very honest during their talk and he respects the 26-year-old’s decision to leave in search of regular first team football. “I explained to him my opinion and how I wanted to create the team, and I wasn’t sure he was going to play in the 11 players. “Also he explained to me that the decision is not easy for him, but he wanted to chose the best option for him, and every time it is with respect. “I know this player is important here for the supporters and he grew up here in Arsenal, but I can’t guarantee him a place in the starting 11. It was a tactical, technical decision. It wasn’t nice to see one of our own leave the club. Jack has been an Arsenal fan his whole life and was on the books for 17 years after joining the youth system as a kid. But it’s time for a new era at Arsenal and if Emery doesn’t see him as part of his plans, then it’s understandable that Wilshere wanted to go as he has to be playing regular football at this stage of his career. I wish him all the best at West Ham, but it’s time for change at Arsenal….